Leading creative and UX, I work with the Product Managers, Marketing teams, Designers and Developers to organize the creative and product strategy. I manage the brand design, art direction, organization, flow and user experience design for websites, portals and responsive content modules. Create a dealer shopping portal by which individual dealerships can select Edmunds content to display in the context of their own shopping funnels and in support of their sales process. Creating a stand alone portal, Site Enhancer is built to deliver Edmunds content across dealer sites. These content modules are accessed, enabled and managed through the dealer portal. 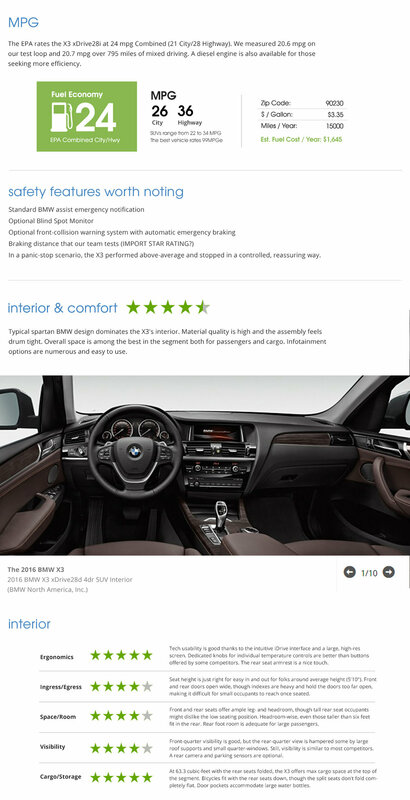 The widgets appear on Vehicle Detail Pages as well as customizable Vehicle Report Drawers. As lead Creative Director, I worked with the Product Manager, Marketing teams, Designers and Developers to organize the creative product strategy. I managed the look and feel, organization and user experience design for the dealer portal as well as the individual, responsive content modules. These modules include custom Pricing Validation, Edmunds Reviews, Vehicle Dimensions and Feature Highlights. These content widgets are accessed, enabled and managed through the dealer portal. Custom content modules appear on Vehicle Detail Pages as well as the Vehicle Report Drawer. Feedback is overwhelmingly positive as this product gains traction in the market. 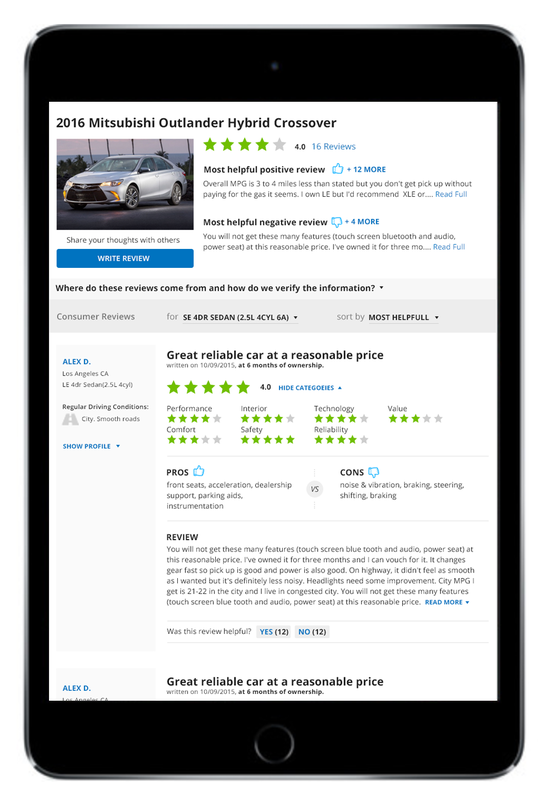 Build a more clear communication line to determine what can be learned and discovered on Edmunds.com and provide clean and relevant content organized in a way that is easily digestable. Address the Homepage drop-down navigation and Homepage content organization. Address consumer and editorial review content. As lead Creative Director of New Concepts, I developed prototypes for core navigation, worked with the Executive Director of Content, Product Managers, Marketing teams, UX Designers and Developers to realize the creative direction. 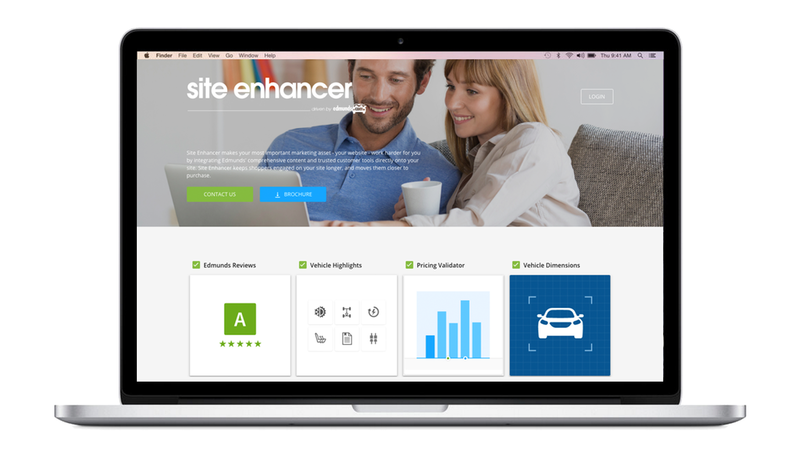 The Edmunds site redesign launched in early 2017 informed by this direction. Multiple content/page groups utilized my direction to achieve their final results. Build small, medium and large content language to serve across laptop and mobile for Editorial and Consumer Review pages. Address the ratings iconography and grid alignment across all content pages to ensure continuity and clairty. Working closely with UX teams FED and the Director of Content, I helped to create the layout languages across media type. This included a "call to action" widget to access the Consumer Reviews drawer. The Edmunds site redesign launched in early 2017 and includes this ratings language and layout.